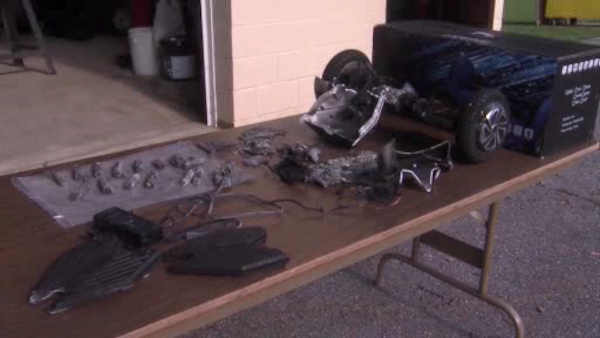 HARRISBURG, Pennsylvania -- A fire that killed a toddler and critically injured two others, and also led to critical injuries to a responding fire official, appears to have been sparked by a recharging hoverboard, authorities said. The Lehigh County coroner's office said 3-year-old Ashanti Hughes was pronounced dead just after 11:30 a.m. Saturday at Lehigh Valley Hospital-Cedar Crest. Two girls remain hospitalized in critical condition. The man and another occupant of the home, a teenage male, were treated and released.